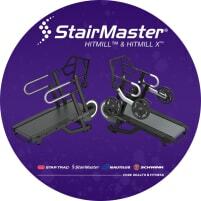 StairMaster Hitmill &amp; Hitmill X - DIRECTLY FROM THE MANUFACTURER! A treadmill is the ideal fitness equipment for athletes who want to train at different levels of load. A great advantage of treadmills is the easy measureable performance and training successes by manually setting training programs, speed and difficulty. Furthermore it is comfortable being able to train independent of season and temperature without going in a gym. 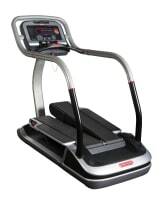 By purchasing a new or used treadmill you have the opportunity to comfortably exercise at home. 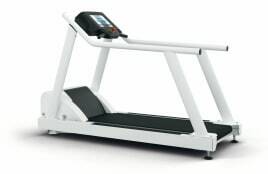 There are some criteria to consider when buying a new or used treadmill to find a suitable machine according to the own needs. 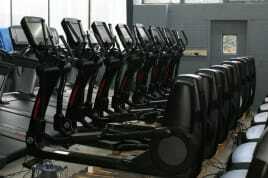 A professional machine constantly used in a gym of course needs to meet higher standards when it comes to quality and diversity of operating life, size of the running surface, variety of training programs, adjustability and processing than a home training machine for occasional use. Engine power: Next to the power and a margin to the maximum speed it is important to take a look at the noise level of the engine. 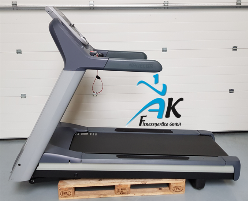 Damping of the treadmill: Especially for persons with joint or back problems, a new or used treadmill should be damped well. Even a positive effect on back pain is possible through a well damped treadmill, because running in correct body position can strengthen the back muscles. Size of the running surface: A larger running surface enables a more rhythmic and safer motion sequence. With a small running surface, the athlete has to concentrate on holding speed and balance. 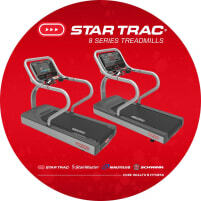 Adjustable ascent: Treadmills with adjustable ascent are great for flexible training programs. For example a run over hills or a long ascent can be simulated. 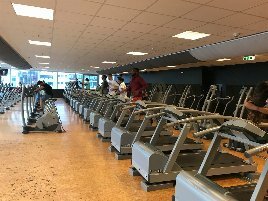 Get informed by studying the different ads on fitnessmarkt.com. 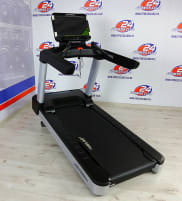 If you want to sell a treadmill, try to give as much information as possible on model and condition of the new or used fitness equipment in your ad. 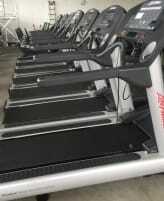 Are you closing down a gym and want to sell the used treadmills? 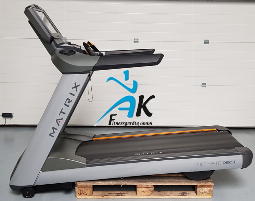 On fitnessmarkt.com you have the opportunity to insert used or new fitness equipment like treadmills. A detailed description as well as some pictures of the new or used machine are recommendable so the prospective buyer has the most important information just at a glance.